Olabisi Onabanjo University, Ago- Iwoye, Ogun State Annual Bursary Award / Allowance Disclaimer to General Public and Students for 2018/2019 Academic Session. 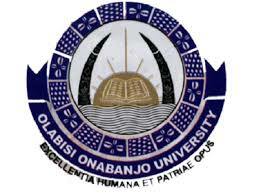 The Management of Olabisi Onabanjo University, Ago- Iwoye, Ogun State,wishes to inform all Parents,Guardians,our Students and the general public that the University Senate did not at any time discuss or approve a Bursary Award to students as claimed by some fraudsters who released a form tagged “OLABISI ONABANJO UNIVERSITY, ANNUAL BURSARY ALLOWANCE ” for Students (Indigent and Non- Indigent) to fill online. Please, note that this is a facade and an attempt to mislead and defraud our Students and indeed the general public. Therefore, this FALSE information should be discountenanced as the form and the entire process did not emanate from the University.